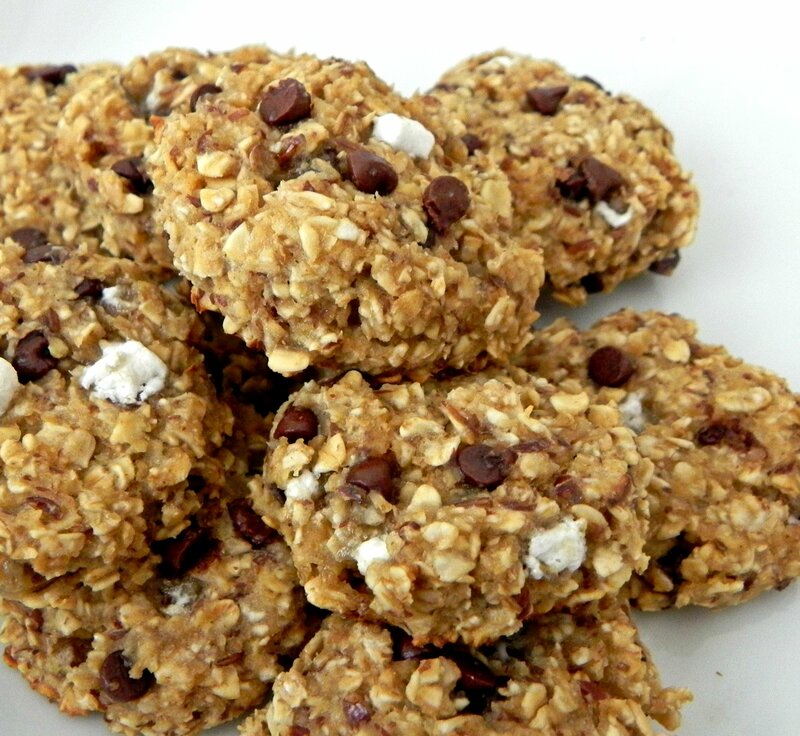 I love bringing these cookies to parties or potlucks as a healthy dessert option. Plus, who doesn’t love s’mores? Since they are mostly carbohydrates, enjoy them after a meal high in protein with a little fat to keep your blood sugar stable. Make flax eggs by combining ground flaxseed and water. Allow to sit for 5 minutes until a gel consistency is formed. In a medium bowl combine quick oats, oat bran, brown sugar, and baking powder. In a separate bowl combine applesauce, vanilla, and flax egg. Add dry ingredients to wet ingredients and stir until combined. Stir in marshmallow bits and chocolate chips until evenly distributed. Remove from the oven, allow to cool on cookie sheet for 3-5 minutes, then transfer to a wire rack until cookies are cooled completely.